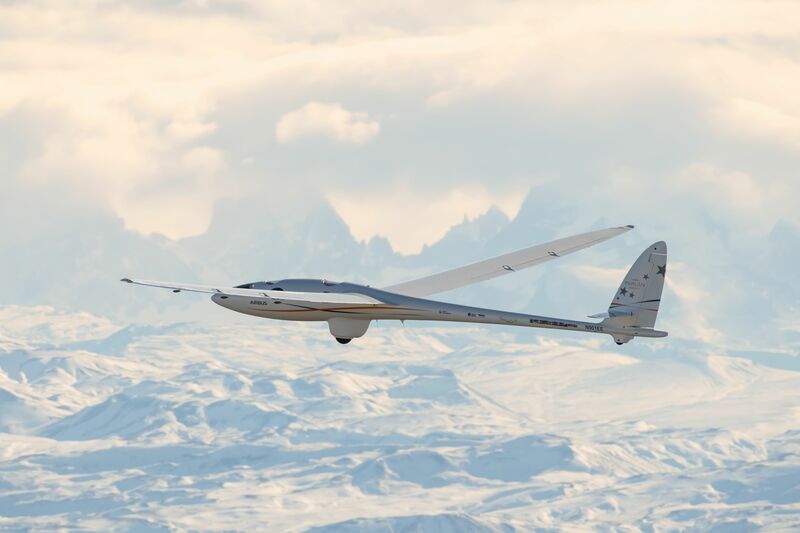 Airbus Perlan Mission II, the world’s first initiative to pilot an engineless aircraft to the edge of space, made history again yesterday in El Calafate, Argentina, by soaring in the stratosphere to a pressure altitude of over 62,000 feet/18,898 m (60,669 feet/18,492 m GPS altitude). This set a new gliding altitude world record, pending official validation. 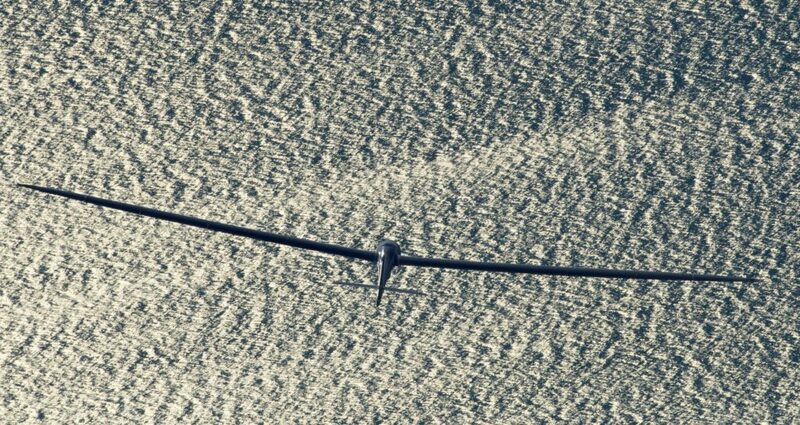 The pressurized Perlan 2 glider, which is designed to soar up to 90,000 feet/27,432 m, passed the Armstrong Line, the point in the atmosphere above which an unprotected human’s blood will boil if an aircraft loses pressurization. This marks a second glider altitude world record for Jim Payne and Morgan Sandercock, the same two Perlan Project pilots who soared the Perlan 2 to 52,221 feet/15,917 m GPS altitude on September 3, 2017, in the same remote region of Argentine Patagonia. 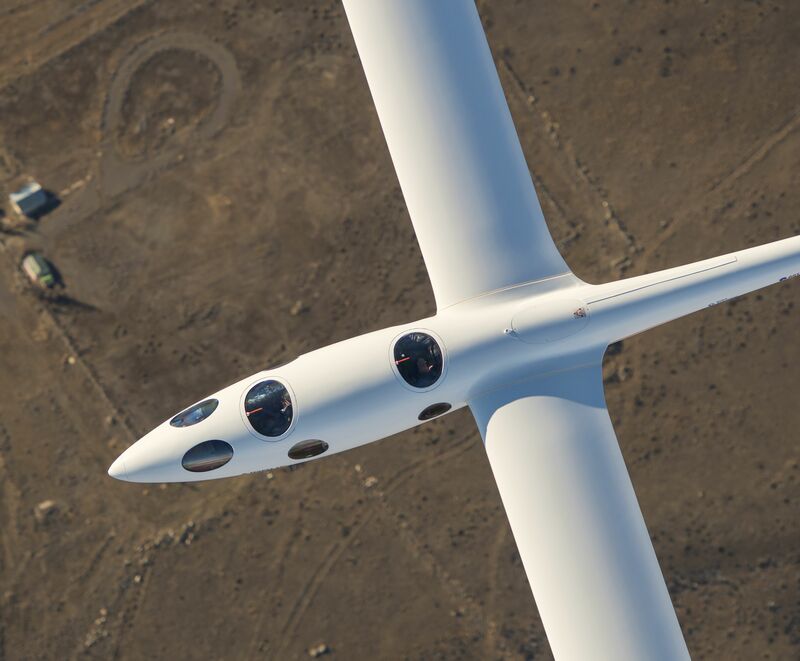 The 2017 record broke a previous record that was set in 2006, in the unpressurized Perlan 1, by Perlan Project founder Einar Enevoldson and Steve Fossett. «This is a tremendous moment for all the volunteers and sponsors of Airbus Perlan Mission II who have been so dedicated to making our nonprofit aerospace initiative a reality», said Ed Warnock, CEA of The Perlan Project. «Our victory today, and whatever other milestones we achieve this year, are a testament to a pioneering spirit of exploration that runs through everyone on the project and through the organizations that support us». «Innovation is a buzzword in aerospace today, but Perlan truly embodies the kind of bold thinking and creativity that are core Airbus values», said Tom Enders, Airbus CEO. «Perlan Project is achieving the seemingly impossible, and our support for this endeavor sends a message to our employees, suppliers and competitors that we will not settle for being anything less than extraordinary». Another first-of-its kind achievement this year for the Perlan Project was the use of a special high-altitude tow plane rather than a conventional glider tow plane. During yesterday’s flight, Perlan 2 was towed to the base of the stratosphere by a Grob Egrett G520 turboprop, a high-altitude reconnaissance plane that was modified for the task earlier this summer. Operated by AV Experts, LLC, and flown by chief pilot Arne Vasenden, the Egrett released Perlan 2 at around 42,000 feet/12,802 m, the approximate service ceiling of an Airbus A380. To soar into the highest areas of Earth’s atmosphere, Perlan 2 pilots catch a ride on stratospheric mountain waves, a weather phenomenon created when rising air currents behind mountain ranges are significantly strengthened by the polar vortex. The phenomenon occurs only for a brief period each year in just a few places on earth. Nestled within the Andes Mountains in Argentina, the area around El Calafate is one of those rare locations where these rising air currents can reach to 100,000 feet/30,480 m or more. A carbon-fiber capsule with a unique high-efficiency, passive cabin pressurization system that eliminates the need for heavy, power-hungry compressors. A unique closed-loop rebreather system, in which the only oxygen used is what the crew metabolizes. It is the lightest and most efficient system for a sealed cabin, and its design has applications for other high-altitude aircraft. An onboard «wave visualization system» that graphically displays areas of rising and sinking air in cockpits. For commercial flights, following lines of rising air would allow faster climbs and save fuel, while also helping aircraft avoid dangerous phenomena such as wind shear and severe downdrafts. 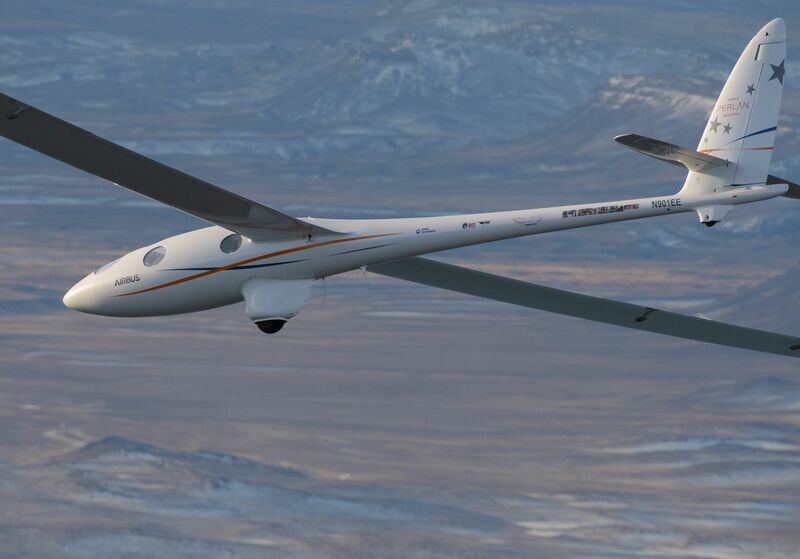 Unlike powered research aircraft, Perlan 2 does not affect the temperature or chemistry of the air around it, making it an ideal platform to study the atmosphere. The experiments carried aloft in its instrument bay are yielding new discoveries related to high-altitude flight, weather and climate change. An experiment titled «Marshmallows in Space», developed by the Oregon Museum of Science & Discovery to teach the scientific process to preschoolers. Two new environmental sensors, developed by The Perlan Project.